There is a common myth that many doc­tors tell their patients – that joint or tendon pain, fatigue, chronic disease, inflammatory disorders, hor­monal imbalances and many other debilitating conditions are all just a part of getting older. Perhaps there was a time when that was the case, but that time has come and gone. The truth is your body is the most complex system known to man and has an amazing capacity to repair itself, combat disease and regenerate damaged tissue. Sometimes, especially as you get older, your body needs a little assistance revving up the metabolic machine and targeting repair at the primary source of the damage. There are exciting alterna­tives to invasive surgery and synthetic drugs that you may not even know exist. In fact, there’s one new field of medicine in particular that’s completely changing how we look at healthcare. It’s called regenerative medicine. Regenerative medicine is the process of using living, functional tissues that have the potential to repair or replace tissues that have been damaged as a result of wear and tear, disease, injury or genetics. Scientific advances have propelled this state of the art medicine into modern day practice. Today, we can use stem cells, bioidenti­cal hormones, platelet rich plasma (PRP), biologic tissue and injectable nutrients to combat illness and maxi­mize performance. This game-changing medical approach may hold promise for just about everyone. If you are deal­ing with an injury that won’t heal, living with pain, fatigue, hormonal imbalance or have a chronic condition like COPD, type II diabetes, or neurological disorders, regenerative medicine may hold the key to your recovery. Professional athletes have been taking advantage of regenerative treatments for years to recover faster from injury and perform at their peak. In 2011, Peyton Man­ning traveled to Germany for a cutting-edge stem cell treatment in his cervical spine. The result was what some called miraculous. At 37 (ancient by NFL standards), Manning looks like an MVP. Regenerative medicine isn’t just for professional athletes. These treatments are available locally to every­one from soccer moms to aging weekend warriors. Stem cells are one of the most exciting treatments in regenerative medicine. Here’s why. Adult stem cells are the building blocks to heal injured tissue. They can be extracted from fat or bone marrow and have the poten­tial to neutralize inflam­mation, slow production of enzymes that cause pain, accelerate healing and create new tissue. This is just one piece of the puzzle. Bioidentical hormone replacement therapy (BHRT) is another treatment under the regenerative medicine umbrella. If you are suffering from low libido, weight gain, declining memory, fatigue, delayed healing, and mood swings BHRT may help. Both men and women have options to combat these symptoms by optimizing their hormone levels safely and naturally. BHRT also diminishes many of the diseases associated with ag­ing, including cancer, heart disease, osteoporosis, stroke and senility. Stem cells and BHRT are just the tip of the iceberg. There are several other groundbreaking treatments available to help you look and feel your best, recover faster from injuries and prevent disease. Regenerative medicine is truly redefining the medical landscape. These treatments will be to our generation what antibiotics were to the previous generation. The op­tions to combat aging have never been more plentiful. Regenerative medicine will keep you active, engaged and living life to the fullest. To find out how regenerative medicine can help you, call today 970.766.VAIL (8245). 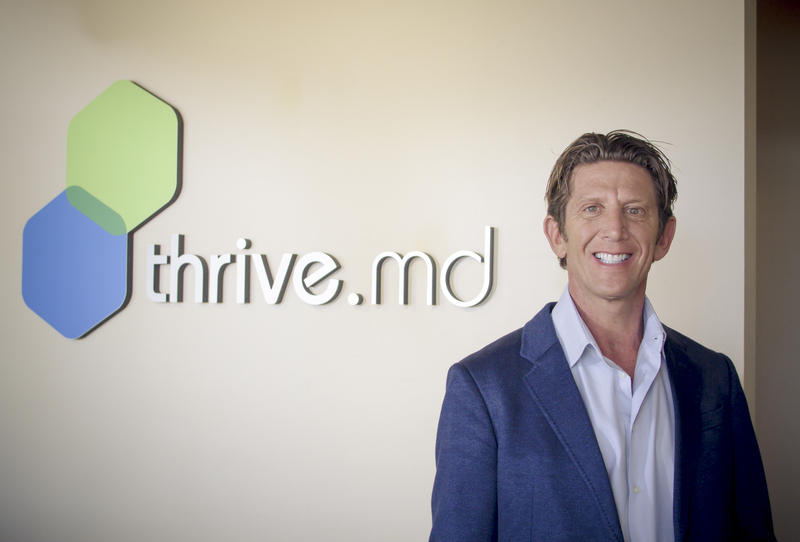 Dr. Scott Brandt of ThriveMD practices leading edge regenera­tive medicine. He offers stem cell treatments, bioidentical hor­mone replacement, PRP treat­ments, IV nutrient therapies, medical diets and liposculpture. To find out how this exciting new field can change your life, contact ThriveMD at 970.766.VAIL (8245) or visit the website www.thrivemdvail.com.